It's that time again, here are some everyday outfits I wore during July. This version has a few outfit post previews, or the same clothing but with different shoes and accessories. 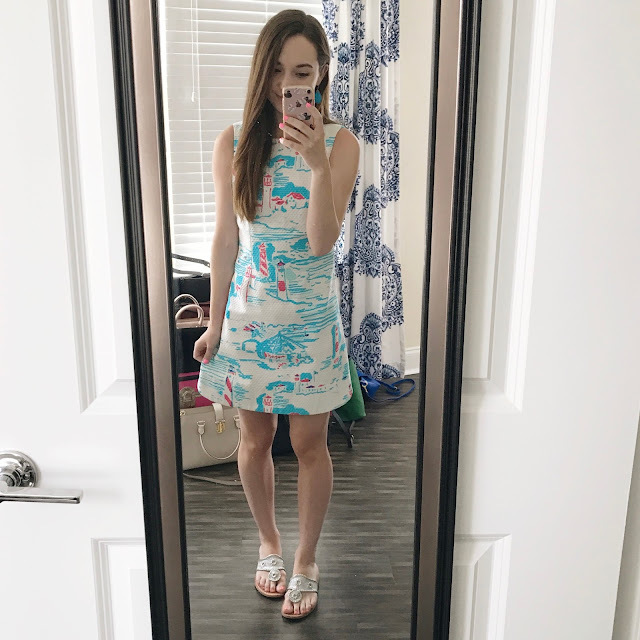 And in case you missed them, here are my everyday outfits from May and June! I love your style! All of these outfits are so cute. Cara, you have such a wide range of style and I LOVE it!! You can rock a Lilly jumpsuit just as good as an OTS edgy top! Totally in love with this last jumpsuit! You look gorgeous! Love your outfits! That Lilly shift is gorgeous- still upset I didn't snag that one a few summers back!